Is your dog a picky eater? Have you tried many different foods to try to entice him to eat regular meals? The most frustrating thing is when Fido finally starts eating and then gets sick of the food just a few days later. There are certain brands of best dog food for picky eaters that's designed and formulated to tempt even the most finicky dogs. Because there are so many dog food choices out there, it's very difficult to know which one your pooch will like without going through tons of trial and error (that will cost a pet owner a good chunk of money). Finding best tasting dog food for picky eaters is a frustrating process. You can try to test different protein sources. Does your dog prefer beef or chicken? Neither? Then perhaps a less popular choice, like venison or duck, would be more appetizing for him. Texture is another thing you should be paying attention to. Some dogs don't enjoy chomping on dry kibble. While wet or semi-moist dog food may be a more appetizing option, it's also more expensive. If these foods aren't in your budget, adding water to a dry kibble may be enough to tempt your dog to eat it. Your veterinarian or canine nutritionist are the best people to speak with when you're looking for a new dog food. They know your dog's medical history and can help you choose the right food to meet his nutritional needs. Based on your dog's age, weight, daily activity level and health condition your vet can recommend appropriate nutrition. If you already understand your dog's nutritional needs, you're halfway there. Now, you need find a high quality food, be it dry kibble or canned food. Just because your dog will eat it, doesn't mean it's going to be safe or healthy for him. And the opposite is true – just because it's healthy dog food doesn't mean your dog is going to eat it. When it comes to finicky eats, balance is key and some of the best dog food for picky eaters brands deliver on that. All dogs are different, and one pet may prefer a type of food which may not entice another pet. However, what we can do for finding most palatable dog foods is a two-step process: check food recipes that contain most commonly liked ingredients by dogs and use pet owners' experience (and dog food reviews) to find pet foods that are statistically more likely to be enjoyed by dogs. After that, scan and pick out the healthiest options from that list. This is what we've done for this best dog food for picky eaters round-up. What is the Best Dog Food for Picky Eaters? The Honest Kitchen chicken recipe is made with human-grade ingredients and preserved by dehydrating. Its first 4 ingredients – all organically grown or raised – are chicken, whole grain barley and oats and flaxseed. The rest are dehydrated fruits and vegetables rich in vitamins, minerals, and antioxidants. Supplemental vitamins and chelated minerals were also added for a nutritionally-complete diet. Ingredients: All ingredients dehydrated: Free-range chicken, organic barley, potatoes, organic flax, organic oats, green peas, carrots, bananas, parsley, organic kelp, celery, tricalcium phosphate, choline chloride, zinc amino acid chelate, vitamin D3 supplement, vitamin E supplement, potassium iodide, potassium chloride, iron amino acid chelate, copper amino acid chelate, sodium selenite, thiamine mononitrate. All ingredients are processed in the USA in a human grade food processing facility. They are non genetically modified and free of any chemicals & preservatives. All meat is hormone and antibiotic free. If you had to coax your dog into eating what’s going to be his staple food, then there can’t be a better choice than this. This dog food is decidedly nutritious and made of top quality ingredients. Most dogs, and we mean picky dogs, find The Honest Kitchen Human Grade Dehydrated Organic Grain Dog Food to be compatible with their taste buds. In fact, they’re eager beavers when it’s dinner time. The thing though is, since this needs to be rehydrated, it needs some procedure instead of just scooping dry kibbles into bowls or simply opening canned foods. To rehydrate, the correct proportions of dehydrated food and warm water are measured and mixed. The thick mixture is then allowed to cool for 3-5 minutes. All of these happening with an impatient pet jumping up and down around you. So, you see, getting picky dogs to like this food should actually be the least of your worries. From the oatmeal-like consistency of The Honest Kitchen dog food, we have smallish dry kibbles from Fromm. The protein content of this game bird recipe is sourced from duck, turkey, pheasant, and quail, which brings a unique blend of unusual meaty flavors that dogs find irresistible. This is balanced with the nutrients and pure flavors of fresh fruits and vegetables, and other natural sources of antioxidants, vitamins and minerals, essential fatty acids, fiber, and probiotics. Small dogs and even those with a few teeth missing would find this food easy to bite and chew, because the crunchy pieces are not too thick and just about the size of peas. Fromm Four Star Grain Free Dry Dog Food, Game Bird Recipe gets the dogs to eat, including depressed dogs that have apparently lost their eagerness to eat, and that’s half the battle won. Those that have been on this diet for more than a year have no health issues and have even become regular in their bowel movement. And since it’s grain-free, it matches the diet of most picky or sensitive dogs. It can be very expensive if relied on as the sole food, so it can be used with a cheaper food to spread out the cost. However, you can’t introduce too many options or you’ll teach your dog to be picky with food again. This smoky salmon-based food from Taste of the Wild is another tasty and nutritious option that you can introduce to your pack. It is made with real salmon, potatoes, dried egg product, sweet potatoes, peas, blueberries, tomatoes, vitamins, mineral proteinates, carefully balanced ratios of omega 3 and 6, and sources of prebiotics and dog-specific probiotics. It is also grain-free, which makes this best dog food for picky eaters compatible to a good population of dogs that are not so easy to feed. TOTW dry formula, served as it is or topped with TOTW thick-gravy wet food, has made a great number of dogs a lot happier with their meals. Lethargic dogs were once again interested in their food and wagging their tail. The pellets of Taste of the Wild, Canine Formula, Pacific Stream are a good size – not too small or too large – and feel dense. It takes a little amount of this dog food to make dogs feel full and remain so till their next mealtime. For that, it’s easier on the wallet and also at keeping extra pounds off your dog. It brings out the deeper color of their coat and makes it softer and glossier. Chicken is a good source of highly-digestible protein and it’s the key ingredient in this Prairie Recipe from Nature’s Variety. It also contains chicken fats, chicken meal, turkey meal, whole-grain brown rice, barley, oats, prebiotics, probiotics, and natural sources of essential fatty acids, antioxidants, vitamins, and minerals. Supplemental vitamins and minerals were added to attain the perfect balance of nutrients that dogs need. Aside from its holistic label, which dogs don’t really care for by the way, Prairie Recipe Natural Dry Dog Food by Nature's Variety gets the paws up because of its freeze-dried raw coating. The raw coating is the same feature used in Instinct recipes, also of Nature’s Variety. As to size, Prairie’s kibbles are about half of Instinct’s size. The smallness of the bites makes it perfect for feeding puppies until they become adults and seniors. Also, the availability of other recipes (they have lamb, salmon, and beef variations) makes it possible to switch flavors without causing tummy upsets and nutritional disruptions. Pricewise, it’s not a cheap dog food but definitely one that won’t break the bank. We’ve seen dehydrated meat turned mushy and kibbles tumbled on crushed meat, to name only a few, just to tempt picky canines back to eat. Purina Pro Plan has a unique take – it combines crunchy bites with soft beefy chunks – and it’s been a feast for a lot of these finicky dogs. More importantly, Savor Shredded Beef and Rice Formula is not only about taste and texture (which are sensational), but it’s also highly nutritious. It provides your dog with adequate levels of protein for muscle-building and growth, energy to engage in high-quality life, probiotics to ensure proper digestion, and antioxidants and essential fatty acids to strengthen the immune system. Purina Pro Plan Savor Shredded Blend Beef and Rice Formula Dry Dog Food is not only amazingly high on picky dogs’ list, but it’s also amazingly easy on the budget. Its other “side effects” are healthier weight and glossier coat – overall you get happy dogs and even happier dog people. Some dogs have eaten this exclusively for nearly 10 years, and they and their owners have no reason to complain so far. Here’s another grain-free variation of the Taste of the Wild salmon recipe we’ve listed above, and this one brims with the richness of roasted bison and venison. It also contains buffalo meat, chicken and lamb meals, beef, ocean fish meal, sweet potatoes, potatoes, peas, antioxidant-rich fruits and vegetables, a special blend of omega 3 and 6, prebiotic fiber, and K9-strain probiotics. 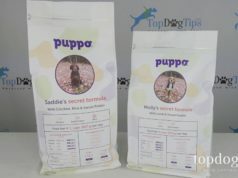 This formula comes highly recommended for picky dogs, and we especially do so to their pickier pet owners who pore over dog food labels and websites very meticulously. The meats used come from novel protein sources, which could explain some of the dogs’ excited response to Taste of the Wild, Canine Formula, High Prairie. Dogs lick their bowls clean as soon as this food is given to them and that says a clear message – they like the taste. 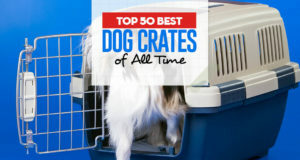 This is great not only for picky dogs, but also for grain-allergic dogs. The fiber-rich carbs used in this recipe instead of the usual grains keep dogs feeling full longer, too. And for one that’s grain-free, this formula’s price tag is quite hard to beat. One word of caution, though, it somehow causes horrible farts, which can be a minor or major thing depending on where you look, or sniff, at it. This is more expensive than the Prairie recipe (also by Nature’s Variety) but instead of just raw coating over the dry kibbles, dogs also get raw pieces. The raw bits bring mealtimes to a whole new level and really get picky dogs eating back again. The first three ingredients are chicken meal, chicken, and chicken fat. The raw pieces are made with freeze-dried raw turkey, turkey liver, chicken, and ground chicken bone. The dark brown dry kibbles are pea-sized, while the white raw bits are peanut-sized – both perfect even for small dogs to eat. 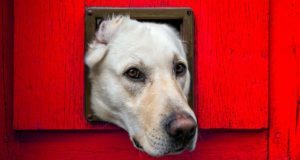 For dog owners who already mix-feed their dogs with dry and home-prepared raw food, Instinct Raw Boost Grain Free Recipe Natural Dry Dog Food by Nature's Variety definitely cuts some corners. However, quality control is quite inconsistent with the ratio of raw bits to the dry kibbles – sometimes you get a lot of the white bits, most other times you could count them (like 1 to none in every 3-cup servings). 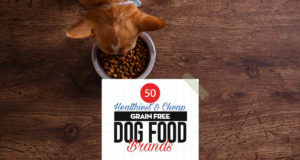 The whole-grain brown rice that this formula contains is more nutritious than brewer’s rice, and much easier to digest than corn fillers so it’s also good for dogs with sensitive tummies. Dogs are in great shape in this formula. They have no problems and they sport a nice coat. There has been no issue with freshness or going stale over time – it’s good to the last pieces at the bottom of the bag. 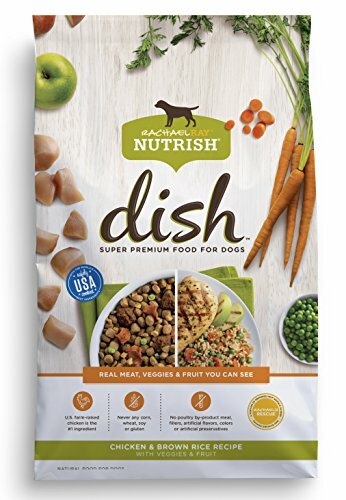 Picky dogs will not only love the taste of Rachael Ray Nutrish Dish Super Premium Dog Food, but also the different textures and sensations each bite offers. Aside from the brown kibbles, there are real chicken pieces, crunchy orange carrot slices, green peas, and apple bits mixed in. This best dog food for picky eaters is made with chicken, chicken meal, brown rice, and fruits and vegetables that are rich in antioxidants and natural vitamins. It also contains natural sources of omega 3 and 6, vitamin supplements, and chelated minerals. Dogs are attracted right away to the chicken and vegetable pieces. In fact, they dig in for those first. This is a nourishing diet that provides the energy they need. Dogs that used to have problematic stools now have them nice, firm, and less stinky. The recommended serving sizes are noticeably bigger than other formulas and have caused slight weight gain in dogs. The pieces are also very hard especially for small dogs to chew, but adding water makes it more acceptable to them. Overall, the price is fair for the quality of the ingredients, except that there seems to be fewer meat and vegetable pieces than what’s depicted in the pictures. Purina Pro Plan Savor Wet Dog Food is the ultimate feast for dogs. This entrée of real sliced (not pureed, powdered, or extruded) meat and vegetables slices bathed in gravy is much preferred by dogs, but what dog wouldn’t? It is made of small solid pieces of beef, chicken, liver, potatoes, green beans, carrots, and vitamin and mineral supplements. This best dog food for picky eaters does contain meat by-products, wheat gluten, and added color. Don’t expect your dog’s bowl of this beef and vegetables entrée to look as pretty as the one in the picture because you’re not that gullible. What it looks in real life is a mushy meal with solid bits of beef and vegetables. The important thing is that dogs dig into this food with excitement and tongue-licking finish. If your dog is going through a phase of not eating regularly, Purina Pro Plan Savor Wet Dog Food could just be what he’s waiting for. As is the usual problem with canned wet food, you may find bent cans here and there, which is disappointing. If it’s any consolation, the cans of this best dog food for picky eaters are easy to open with their pull-up tabs. Here’s another formula from Rachael Ray Nutrish, which is the basic version of the Dish recipe we’ve featured above. It is made with chicken, chicken meal, rice, soybean meal, corn, poultry fat, beet pulp, corn gluten meal, soybean meal, and other natural ingredients and supplemental vitamins and minerals. It does not contain any poultry by-product, wheat, or wheat gluten. This recipe has greatly improved the appetite of picky dogs. Better than that, Rachel Ray Nutrish Natural Dry Dog Food has sustained their interest for over 4-6 months, which you know is a feat if you own such a dog. With this Nutrish formula, they empty their bowls in just a few minutes instead of letting their food sit all day. This best dog food for picky eaters also eases bowel movement, with more regularized frequencies. Small dogs might not take too well to the hard kibbles, but there are soft and slightly moist bits that make chewing easier and more interesting. There are some ingredients that we’d rather not see in a dog food (corn gluten meal, soybean meal, Menadione Sodium Bisulfite), though we think that it’s not that bad if it brings back the pleasure of eating back to your dog again. This dog food is quite inexpensive, too. Nutro Ultra canned food for adult dogs is made of chunky pieces of meaty goodness with thick, flavorful gravy. The ingredients include chicken, chicken broth, chicken liver, lamb, salmon, turkey, lamb liver, wholesome grains, sunflower oil, flaxseed, and antioxidant-rich fruits and vegetables. It is also enriched with vitamin and mineral supplements. It does not contain chicken by-product meal, corn, soy, or artificial flavors and preservatives. You may not need to trick your picky dog anymore if you feed him with Nutro Ultra Wet Dog Food because this is appealing to the senses – it smells meaty, has chunky pieces with smooth gravy, and is apparently really delicious. Dogs lick their bowls clean and fast, which says a lot about the food. Generally, Nutro Ultra is rarely refused by dogs, including the picky lot. This has helped clear up rashes in some dogs and roused their appetite at the same time – it couldn’t possibly get any better than that. The price fluctuates very often, so it’s best to stock up when the price takes a dip. Nutro Hearty Stews is another option from the well-known Nutro brand. This best dog food for picky eaters is prepared in the same facilities and has nearly the same price tag as the Nutro food in our number 11 spot. This lamb and rice stew has chunky pieces steeped in saucy gravy that dogs simply love. It’s definitely one hearty meal that dogs, fussy eaters included, find difficult to turn their noses up at. This is made from protein-rich lamb and lamb liver, ground and whole rice, wheat gluten, egg product, sunflower oil, and other natural ingredients sourced from local farmers and trusted suppliers. Vitamins and mineral supplements were also added to Nutro Hearty Stews Adult Wet Dog Food to ensure optimal nutrition. This formula not only agrees with picky taste buds, but also with picky stomachs and sensitive skins, so that’s a huge plus and a headache solver. The chunks are on the bigger side and are best for larger dogs, though some small breed dogs don’t seem to mind gnawing on the meaty chunks. There’s no need for a can opener because these cans have pull-up tabs. Feeding time becomes so much simpler, quicker, and happier.